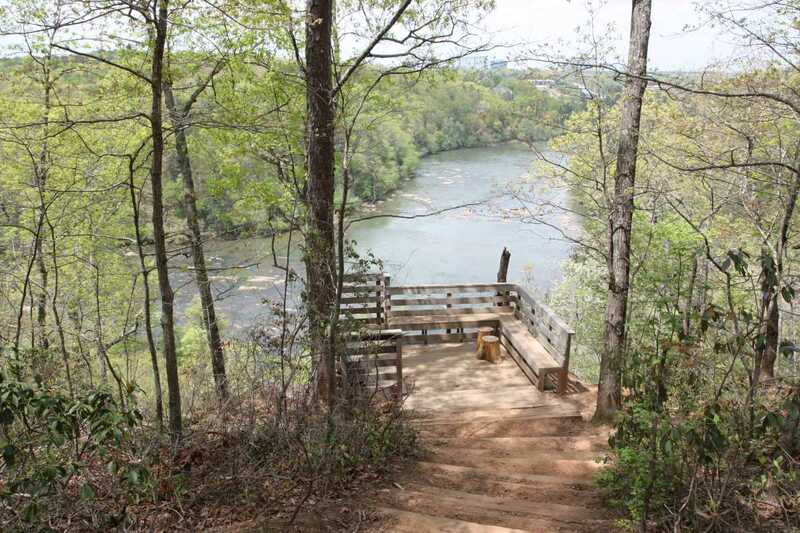 Walk along the Chattahoochee River, gaze from the observation deck, and explore a bamboo grove as you hike the East Palisades trail system. 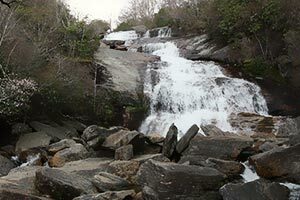 With several trail options for different hikers, this is a fantastic hike within the Atlanta perimeter. 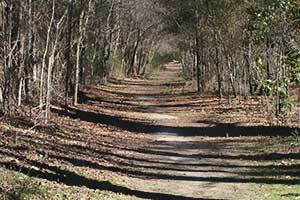 All in all, you can easily do over 5 miles in the park. Bring the dog and the family. In that order. 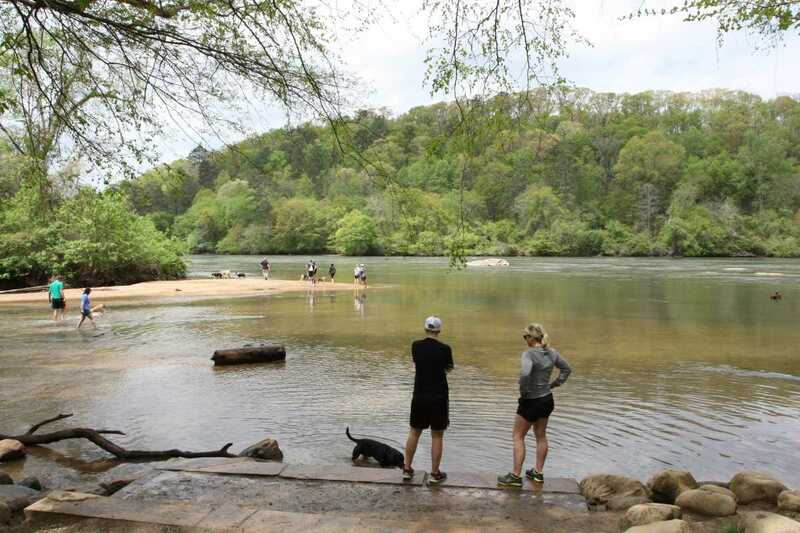 There are several parking areas for this trail system, making the choose-your-own-adventure style of hiking at these Chattahoochee River parks all the more varied. 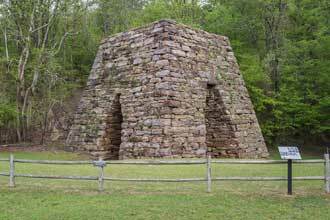 The two main lots are at the end of the Indian Trails entrance and at the Whitewater Creek entrance. 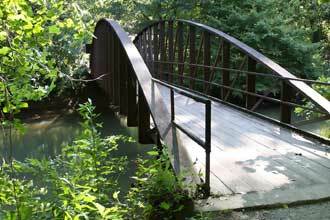 If your goal is to hang along the river and avoid any of the trails at higher elevation, choose the Whitewater Creek parking lot. 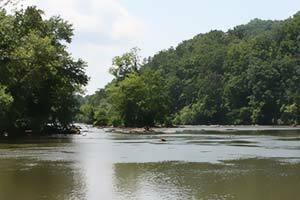 Just a few steps from the water, you can walk along the river in either direction. This is a great option for those with dogs who just want to get wet and smaller children. The Indian Trails entrance features parking in several places along the rough gravel road to the main parking at the end. 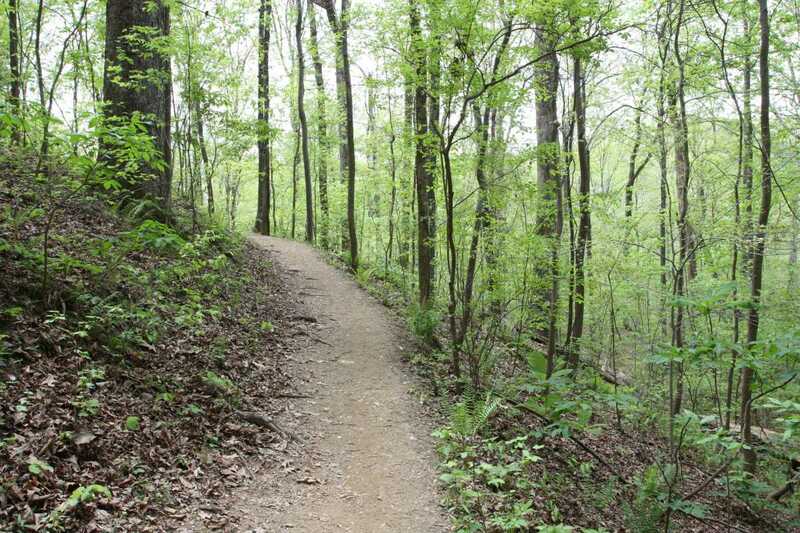 The trail joins the road in three places so you have a couple options of where to start from. 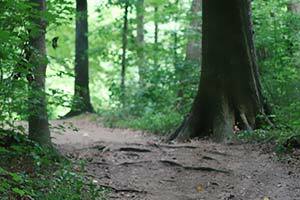 At a higher elevation than the rest of the park, you’ll first need to descend roughly 150 ft to make your way along the river. 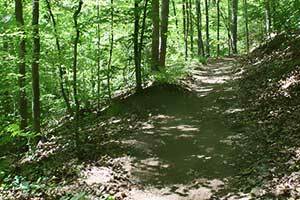 Several trails offer some short steep climbs if you’re looking for a decent workout. 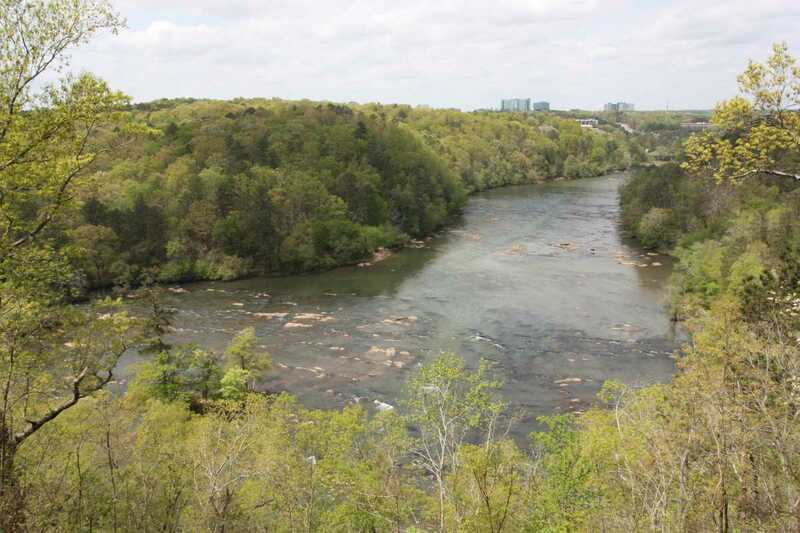 One reward for this is an observation deck that looks north along the river for some really nice views and a great place to take a break, catch your breath and get a snack. 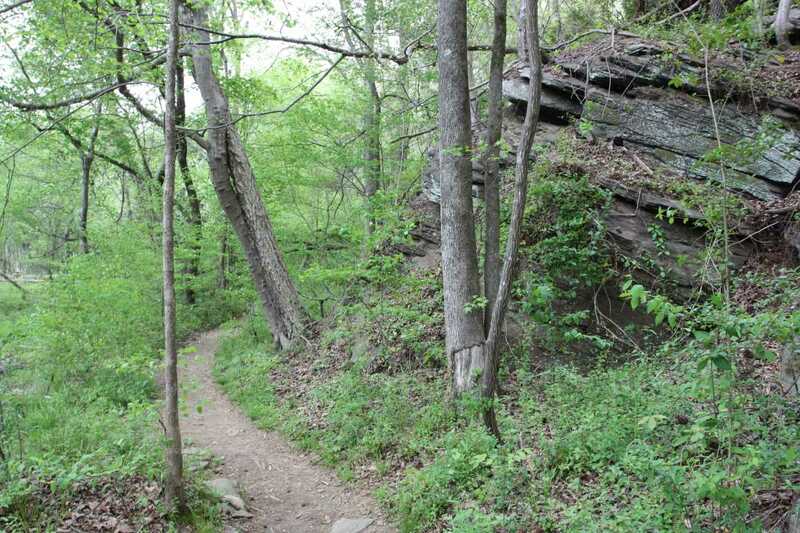 On the north side of the park, several trails become significantly more rocky and root strewn than the wider, smoother trails. 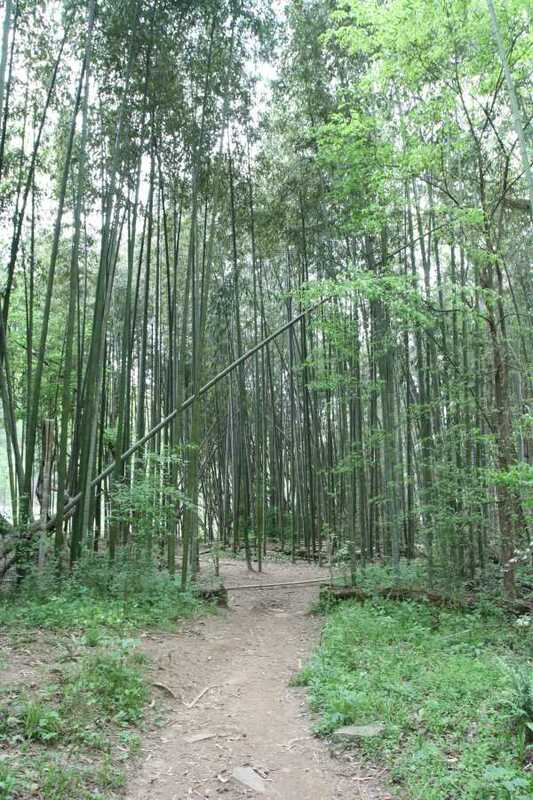 Another point of interest is a tall bamboo grove at the north most trail along the river. 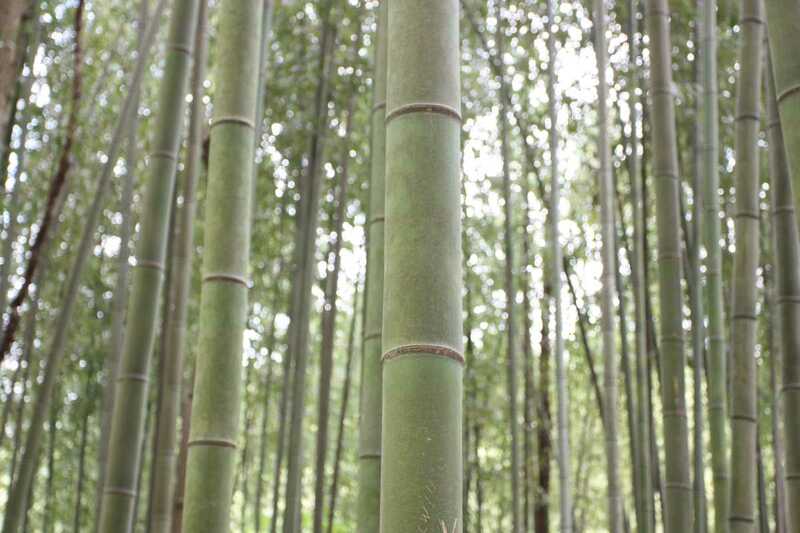 Walk among tree sized bamboo stalks as they knock together gently in the wind. 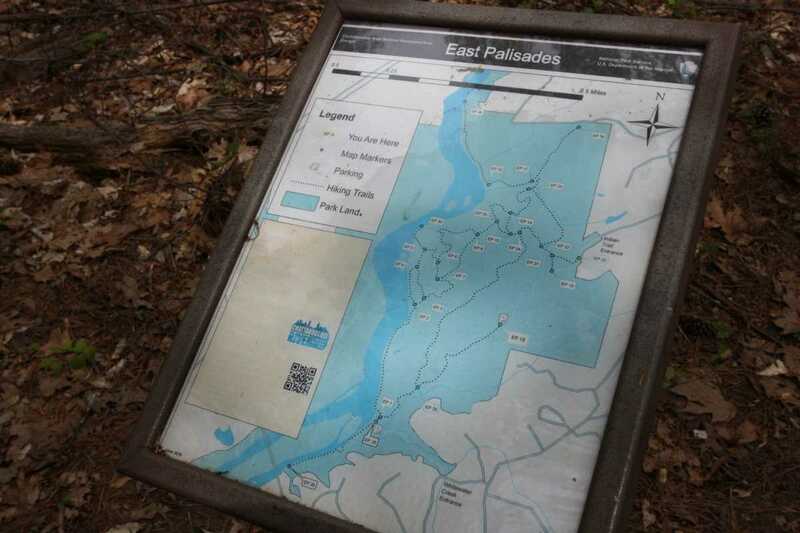 On the south side, the trail keeps going past the official park map, continuing on to the interstate. 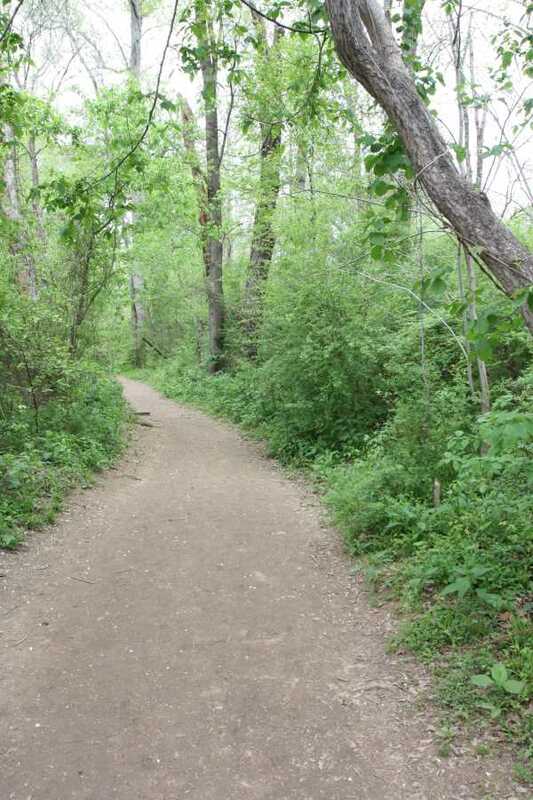 This section is overgrown and not maintained. Any option you take, there are a plethora of side trails not shown on the maps. 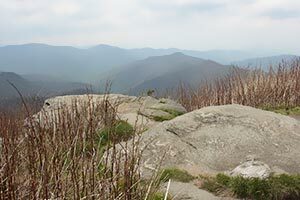 With the exception of one or two, most are easy to recognize being smaller and less maintained than the official trails. Don’t worry about getting lost as map markers are available at every official junction to let you know exactly where you are. 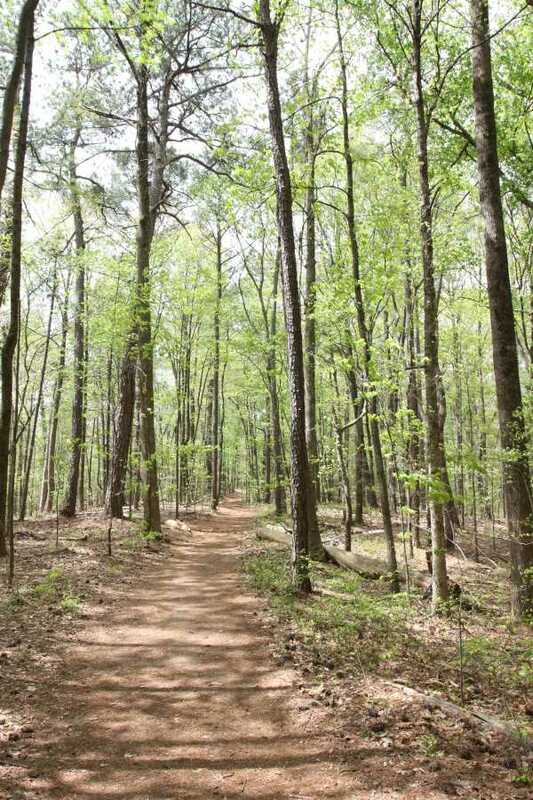 There are several parking areas along the Indian Trail entrance but the main parking lot is at the end of the road, at 1425 Indian Trail NW Sandy Springs, GA 30327. 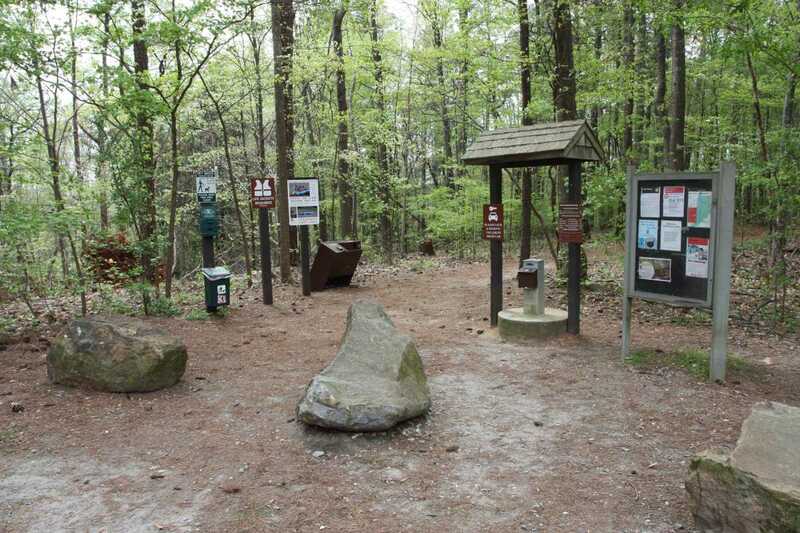 The Whitewater Creek parking and trailhead is on Whitewater Creek Rd Atlanta, GA 30327. 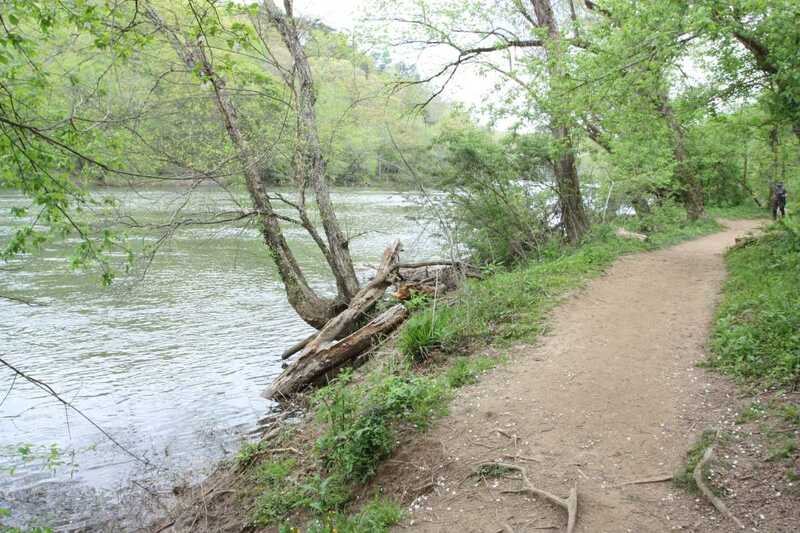 This park has a really nice variety of easy trails along the river's edge and more difficult climbs up to views of the river. 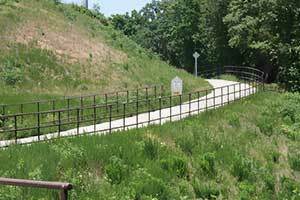 With multiple parking lots and multiple interior trails, this park can accommodate a lot of people without feeling crowded.